CALL NOW FOR PRICES & A FREE QUOTE! "My driveway needed not just resealing but to be redone with new asphalt. The crew, including the owner, came on time and completed the job in very short order. It looks beautiful–no more cracks, no more crumbling corners. A+!" "Macey and I are very pleased with the outcome of our patio project. The brick work, and raised patio with pavers and low wall were constructed quickly and with the highest quality workmanship. We were very impressed with the talent and congeniality of your skilled crew. I would recommend them to anyone who values high-quality and timely installation. It was a pleasure to work with you and your team. 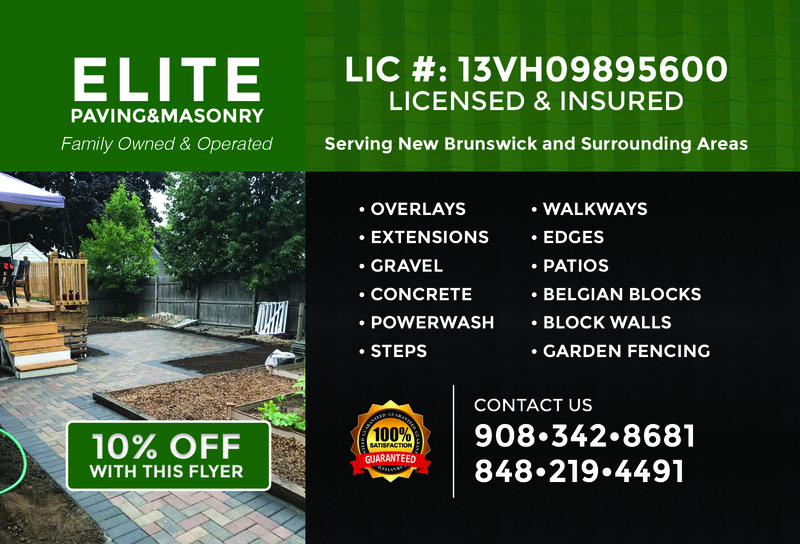 Thanks for a job well done…"
"I would highly recommend Elite Paving & Masonry. All work was done in a timely manner and very professional. They went above the contracted job and added that extra element to see that the job was attractive to our property. We will be using you guys again!" "THANK YOU GUYS! The crews at Elite Paving & Masonry were pros, and they took the time to address certain needs on my property that were above and beyond. I appreciate the work they did, and the price was very fair." "My driveway was an absolute mess. Years of rain and heat have cracked it in several places - it's a good thing that I contacted Elite Paving & Masonry. You guys did an amazing job, thank you!" "I not only have a new patio with wonderfully stamped concrete, but I have a place to create new memories with my children. The backyard is part of our home, and we wanted our home to be complete. Best decision for our family."